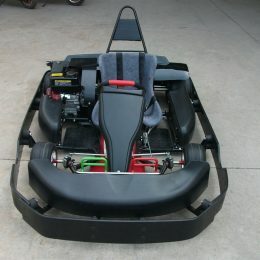 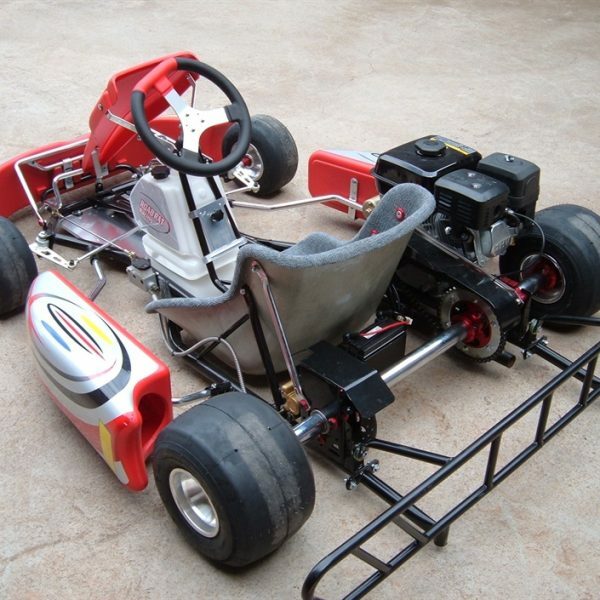 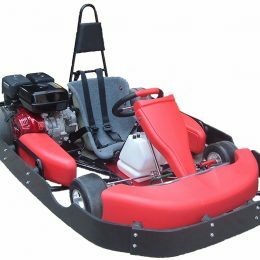 Available in black and red, the Road Rat Racer 200cc TAG go kart is basically the same as the XR model. 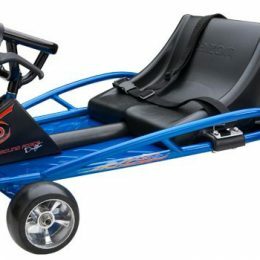 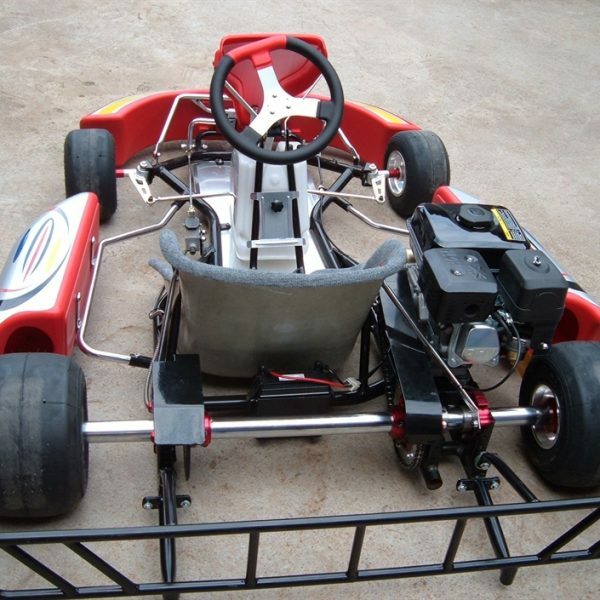 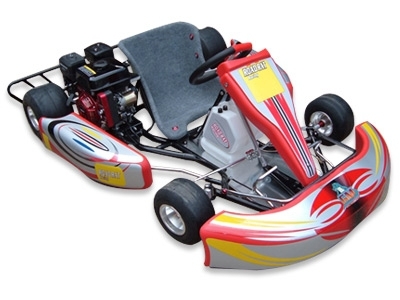 However, an electric start has been added to the TAG and TAG actually stands for “Touch and Go.” The addition of the electric start allows users to restart the motor by simply pushing a button, avoiding the need to get out of the go kart to restart. 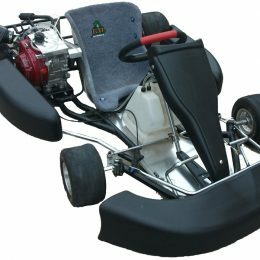 The Lifan four stroke 6.5hp engine offers a top speed of 40+mph and a hydraulic disc brake system is installed for easy stopping. 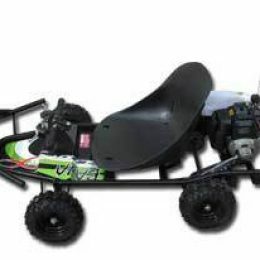 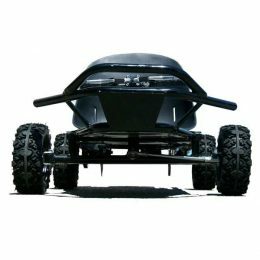 XL bucket seats are included and the TAG go kart will hold a maximum load capacity of 300 pounds. 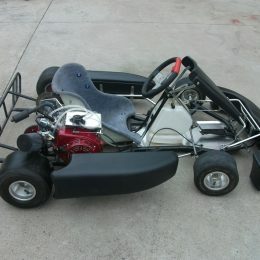 Road Rat Racer uses a #35 sprocket, chain, and clutches. 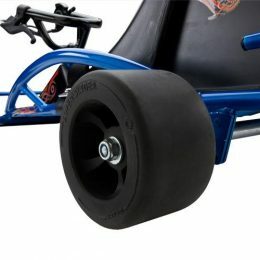 The standard sprocket setup for the clutch is 19T and the rear sprocket is 59T.